Tappan Hill Mansion used to be the estate of Mark Twain, which is just one of the fun facts about this unique Sleepy Hollow wedding venue. If you're looking for a New York wedding venue with a view of the Palisades and the Hudson River both, Tappan Hill Mansion might be the perfect location for you. Located just forty-five minutes from Manhattan, Tappan Hill Mansion feels like a true destination wedding location. It's far enough that you feel truly away from the city. It's also close enough that Manhattan residents can easily get to your wedding. One of the wonderful things about being a wedding photographer is that I get to see unique traditions and customs at every wedding that I photograph. One of the things that I have always loved is seeing how a couple chooses to handle the exit from their ceremony or their reception. Whether it's rice or flower petals or sparklers or something else entirely it is always wonderful to photograph. 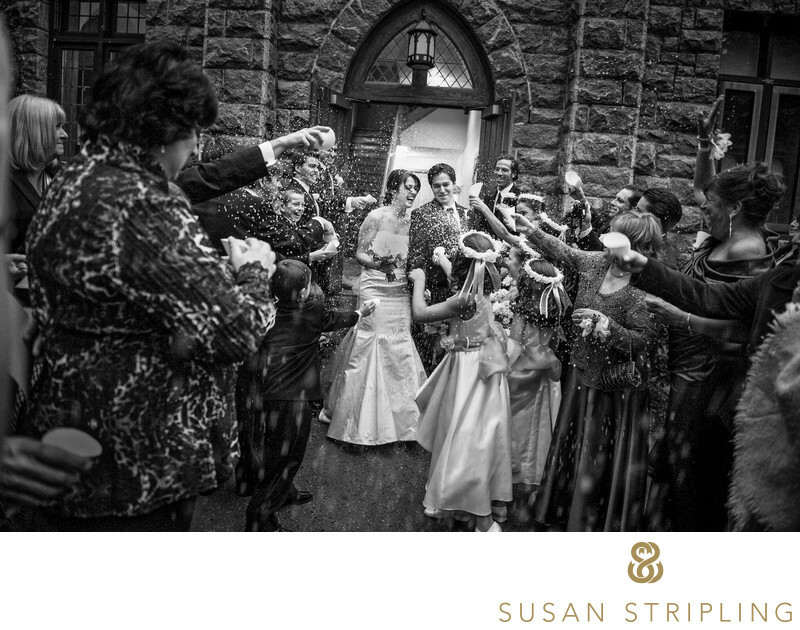 At this wedding at the Immaculate Conception Church in New York's Sleepy Hollow the bride and groom chose to exit their wedding ceremony in a shower of rice. I made sure that I photographed the scene with a wide angle lens so that I could incorporate as many of the guests and their reactions as possible in the final photograph. I was very careful to anticipate the moments before they unfolded and to react as quickly as possible in order to photograph the reactions of the bride and groom when their guests began showering them with the rice. After this joyful exit from their wedding ceremony we headed over to their wedding reception at Sleepy Hollow's Tappan Hill Mansion. If you are getting married in Sleepy Hollow, I'd love to hear from you! 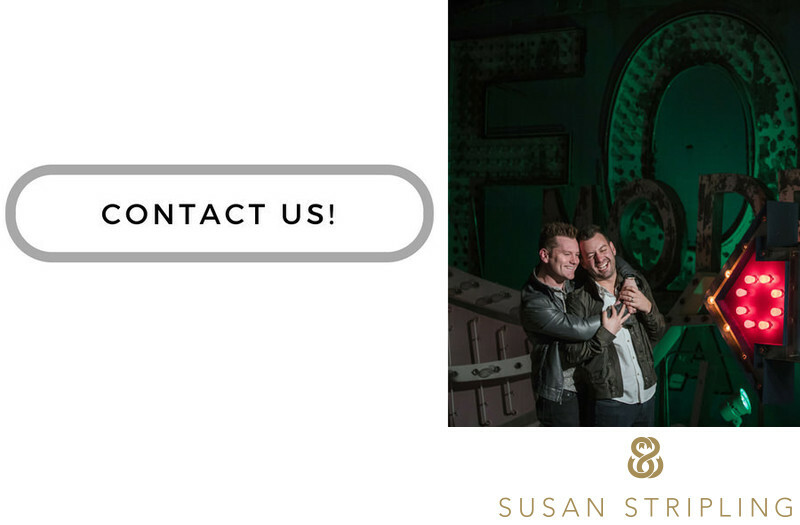 I'd love to hear why you chose your venue, when you're getting married, and more about your wedding day plans! Location: 199 N Broadway, Sleepy Hollow, NY 10591. Keywords: Tappan Hill (3), Tarrytown (6). 1/160; f/2.8; ISO 4500; 24.0 mm.